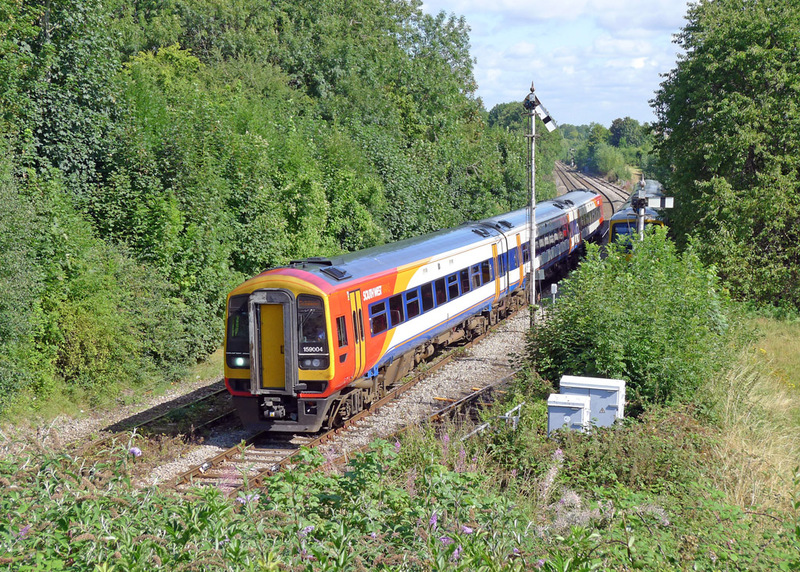 Twenty-two (22) three-car diesel multiple units were ordered by British Railways for delivery as class 158 units but before delivery they were converted by Babcock Rail to class 159/0 specification at Rosyth Dockyard in Scotland. The units were built at the works in Derby. 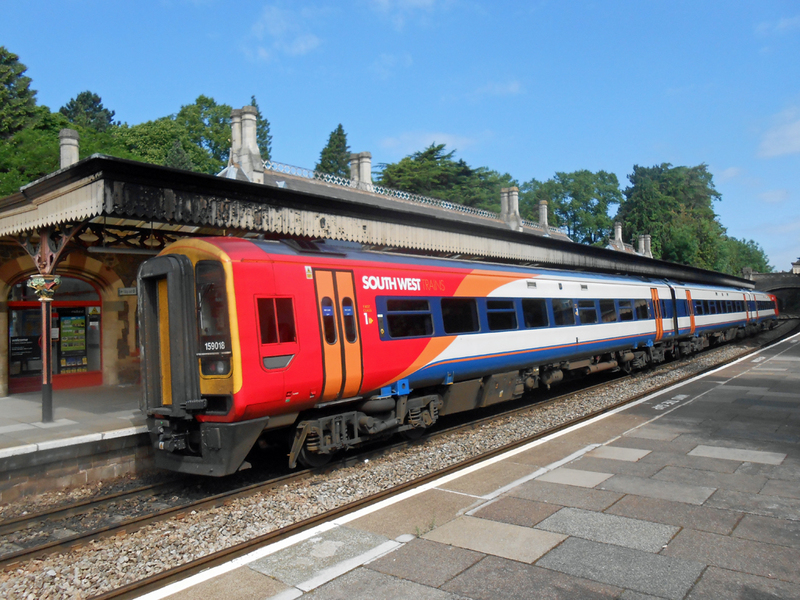 The modifications made at Rosyth were to enable the units to replace loco hauled passenger trains on the line from London Waterloo to Exeter and were mostly of a cosmetic nature. These units, based at Salisbury Depot, had not been seen in Worcestershire until the start of 2014 Summer Timetable in May when one unit was hired-in by First Great Western to operate the 07.23 service from Warminster to Great Malvern (headcode No.2E17) and its associated return working at 10.46 from Great Malvern to Brighton (headcode 1099). On Saturday 14th June 2014 No.159018 had charge of the service and was photographed by Andrew Smith at Great Malvern Station before leaving for Brighton. 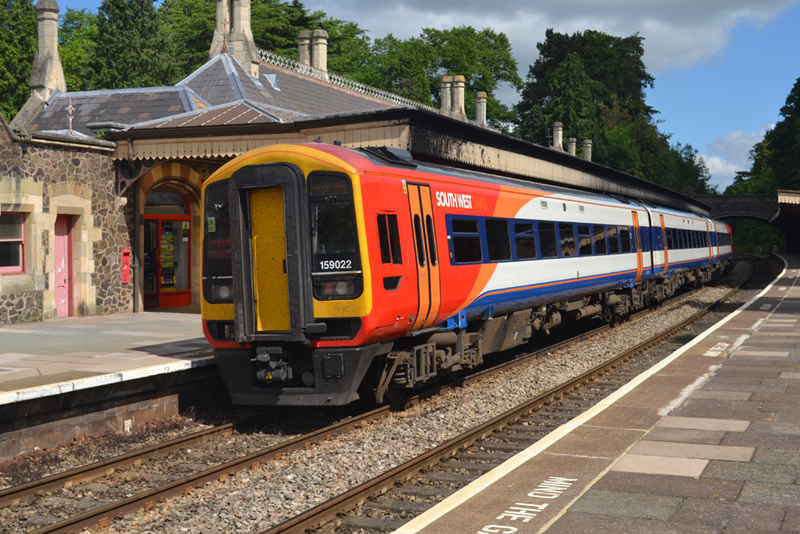 Class 190/0 three-car diesel multiple unit No.159022 waits for right time at Great Malvern before departing to Brighton. Photograph taken by Andrew Smith on Saturday 25th June 2014.